Shanghai, where cloud-piercing corporate towers intermingle with sepia-tinted memories of the 1920s and 1930s, has always been a place of its own. These days, it’s the metropolis that other Chinese cities aspire to reach. It’s fast-paced, confident and still growing at an extraordinary rate. For visitors, the main riddle is knowing where to begin. 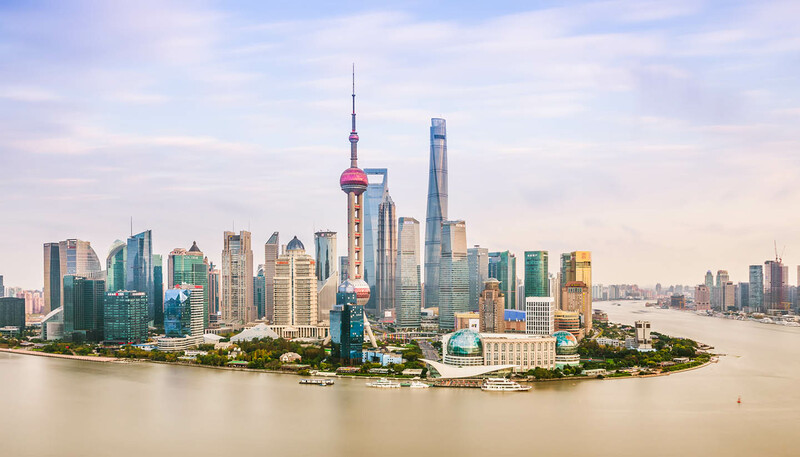 Scenically at least, there’s no clearer way of putting Shanghai’s growth into context than by standing on the Bund, the city’s famous waterfront sweep of colonial buildings. From here, gaze across the Huangpu River at the glossy ranks of mega-structures that now cluster the Pudong skyline. But while money and progress have defined Shanghai for generations, this is far more than a business city. Nanjing Lu, often billed as one of the world’s busiest shopping streets, is a 5.5km long (3.5 mile) artery of malls, department stores, hotels and restaurants. It gives a good taste of Shanghai’s rampant modernity, and a sense of the round-the-clock energy that keeps the city ticking along. No less interesting is the Old City, where street food, antique markets and period architecture create an entirely different atmosphere. It’s unashamedly touristy at times, but remains an absorbing counterpoint to elsewhere in the city. Call in at a tea shop, wander the exquisite YuYuan Gardens or visit the 400-year-old Dajing Temple, which incorporates part of the ancient city wall. Elsewhere, the Shanghai Museum (set in a striking complex intended to resemble a traditional Chinese cauldron) showcases superb artworks from earlier eras, while the (deep breath) Museum of the First National Congress of the Chinese Communist Party gives interesting insight into the early days of the Mao era. Shanghai is a city that travels at speed and sweeps you along for the ride. Whether you’re joining the masses on the waterfront, delving into the city’s thriving arts scene or settling into a packed dumpling restaurant, it’s hard not to be impressed by the sheer scale of the place.